Co-production occurs when citizens actively participate in the design and delivery of public services. The concept and its practice are of increasing interest among policymakers, public service managers and academics alike, with co-production often being described as a revolutionary solution to public service reform. 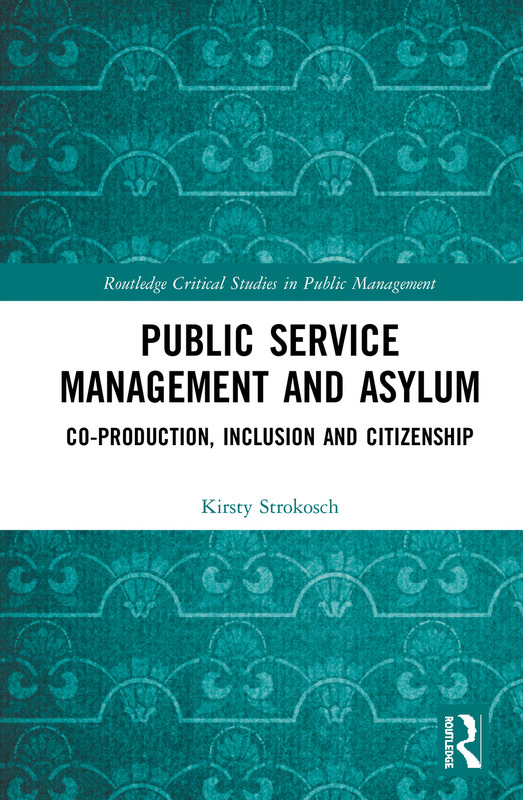 Public Service Management and Asylum: Co-production, Inclusion and Citizenship offers a comprehensive exploration of co-production from the public administration and service management perspectives. In doing so, it discusses the importance of both streams of literature in providing a holistic understanding of the concept, and based on this integration, it offers a model which differentiates co-production on five levels. The first three refer to the role of the public service user in the design and delivery of services (co-construction, participative co-production and co-design) and the other two focus on inter-organisational relationships (co-management and co-governance). This model is applied to the case of asylum seekers in receipt of social welfare benefits in Scotland to explore the implications for social inclusion and citizenship. It argues that as public service users, asylum seekers will always play an active role in the process of service production and while co-production does not provide asylum seekers with legal citizenship status, if offers an opportunity for asylum seekers to act like citizens and supports their inclusion into society. It will be of interest to researchers, academics, policymakers, public services managers, and students in the fields of public management, public administration, organizational studies. Are asylum seekers ‘acting like citizens’? Kirsty Strokosch is a Post-Doctorate Research Fellow in the Centre for Service Excellence (CenSE) at the University of Edinburgh.